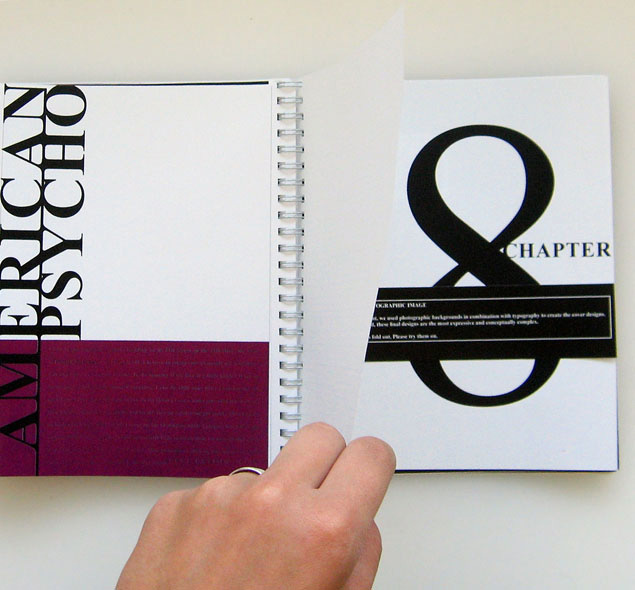 This book was created for my typography class. 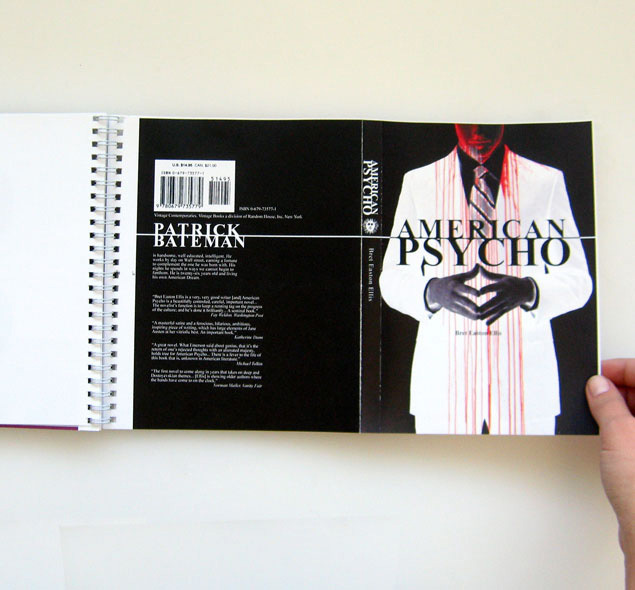 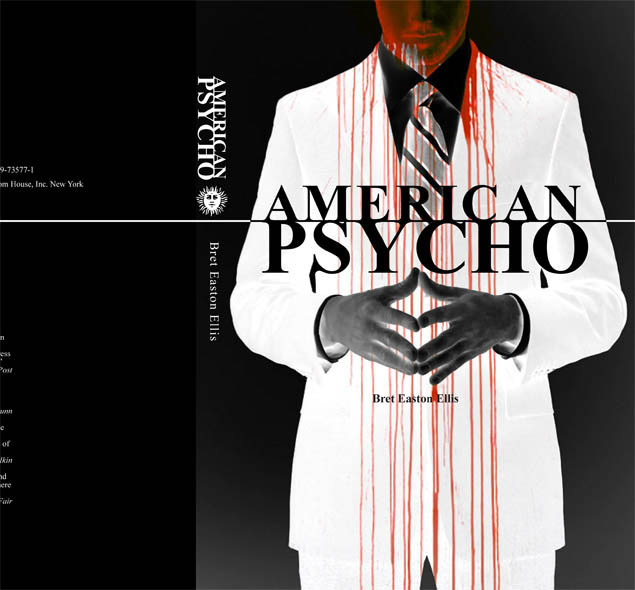 It is a collection of typographic covers made for the novel American Psycho by Bret Easton Ellis. 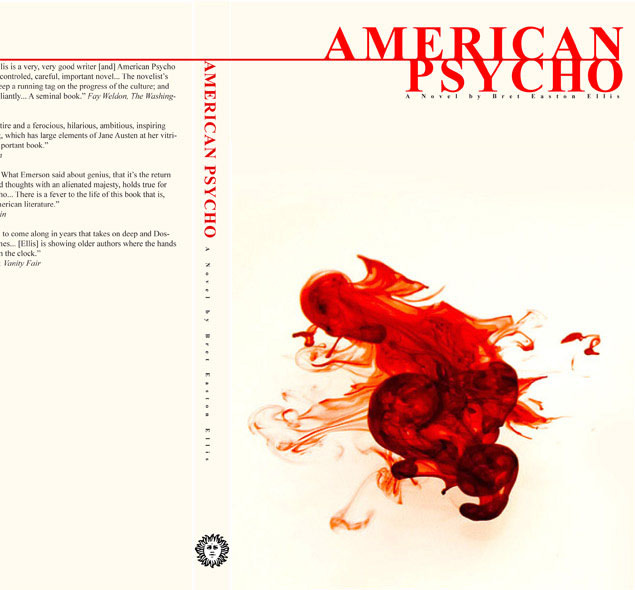 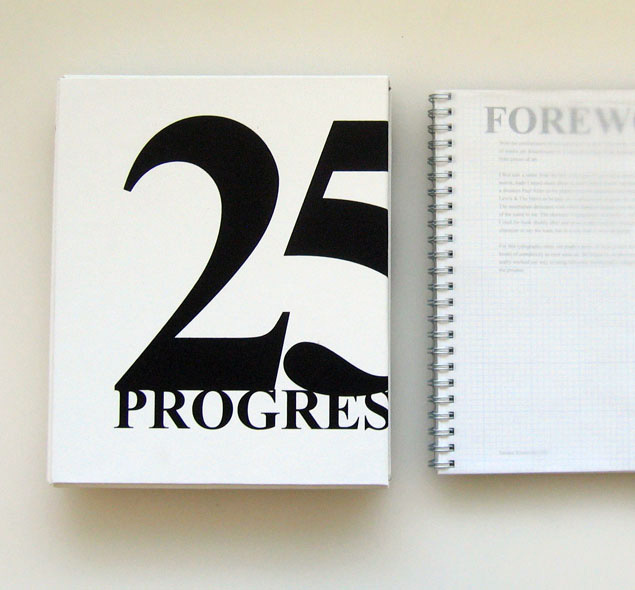 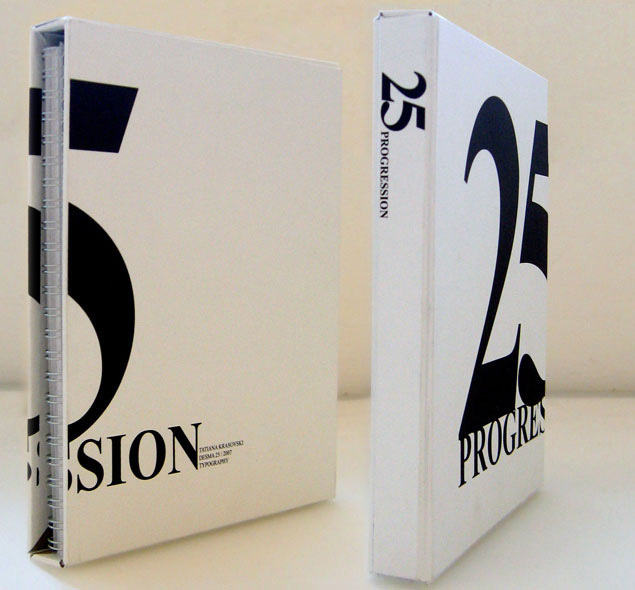 Each section of the book features several covers with increasing complexity. 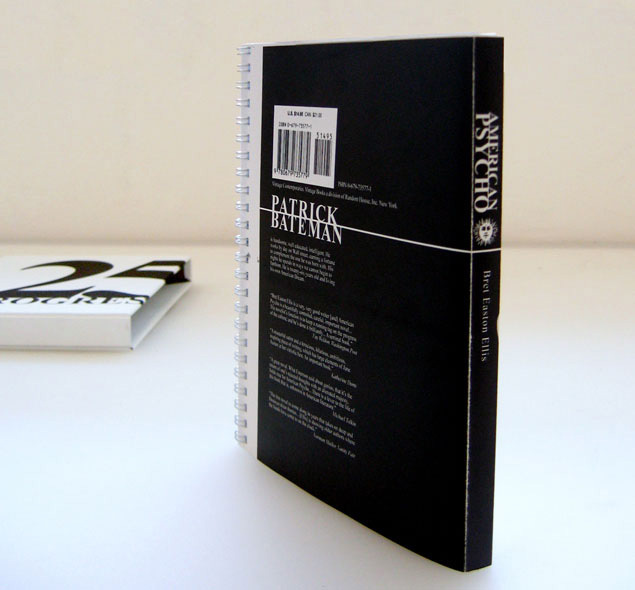 The last three sections are printed as full-color pull-outs which wrap around the spine so you can unfold and “try on” the cover.